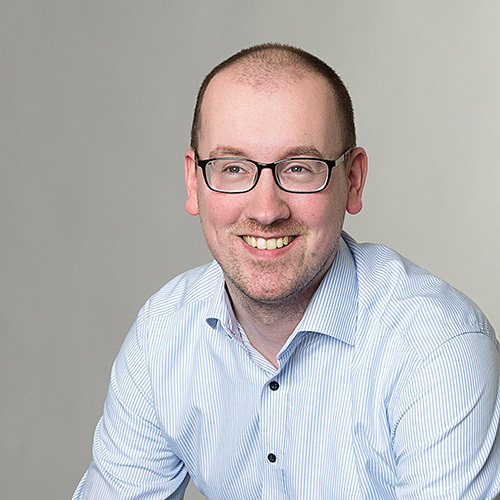 This blog post will be about configuring a Software Update Point (SUP) to use SSL for communicating with Windows Server Update Services (WSUS). I know there are many guides out on the web detailing the standard installation of WSUS and a SUP, but not many of them are explaining (or even touching) the HTTPS/SSL configuration. Also, I’ve been getting some questions about this subject lately, so I thought it would be time to dedicate a blog post to this. 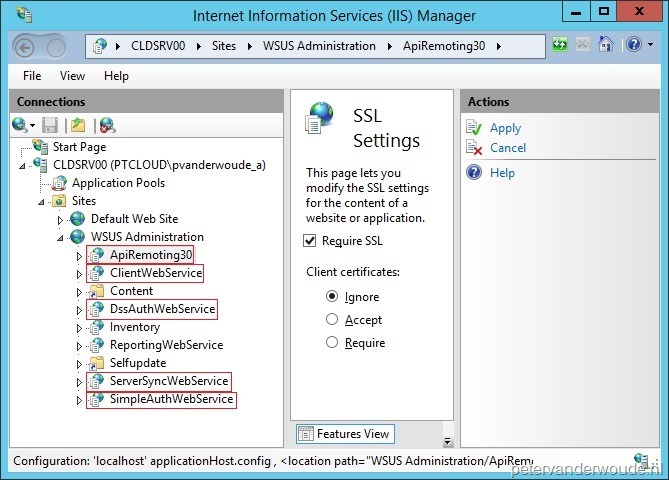 Very high-level, this post will go through the configuration of WSUS to require SSL communication and the configuration of a SUP to use SSL communication. So, actually the title doesn’t cover the complete blog post. Note: The server authentication certificate for an Internet-facing software update point requires that the Internet FQDN and intranet FQDN are both specified in the server authentication certificate. I will show the reason why in a following blog post. SUP – This how-to assumes that a standard SUP installation is performed. On the site system server, open IIS Manager. Navigate to Sites, right-click the WSUS Administration website, and click Edit Bindings. 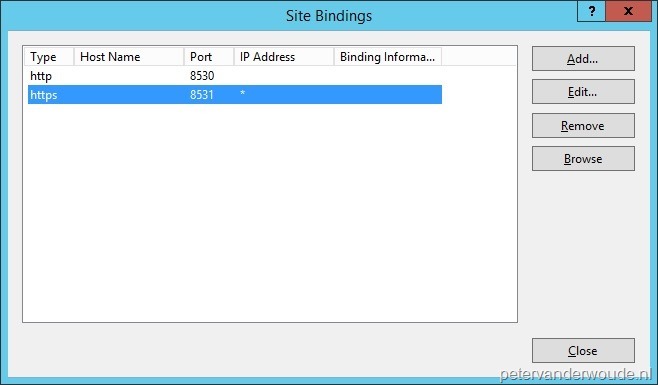 In the Site Binding dialog box, select the https binding, and click Edit. In the Edit Site Binding dialog box, select the server authentication certificate in the SSL certificate box, and click OK.
Click Close to exit the Site Bindings dialog box. Navigate to Sites, and expand the WSUS Administration website. On the SSL Settings page, select Require SSL and click Apply in the Actions pane. WSUSUtil.exe configuressl <Intranet FQDN of the site system server>. 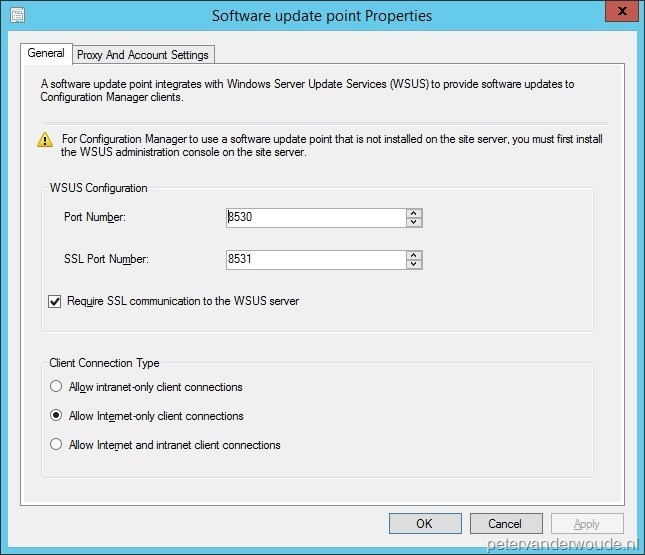 In the Software update point Properties select Require SSL communication to the WSUS server and click OK. The first log files is the WSUSCtrl.log. This log file should show a successful connection to the local WSUS server and it should show no unhealthy WSUS Server components. The second one is the WCM.log. This log file should show a successful connection to the WSUS server on port 8531. Great timing on the blog. I had to implement this today! What would the configuressl command be if you’ve have a SUP role running on a Site System other than your CAS and PS ? Shall I point to PS ? We’ve got an upstream WSUS and CAS talks to it and PS talks to CAS for Sync and I’ve another Site System that has got a SUP Role (wasn’t sure what configureSSL command should be? however I just pointed the configuressl to PS and I see the sync perfectly happening as per the wcm.log however now the SOE guys came back saying the TS is failing with 0x80244018 error code and can’t patch the machines during the build ? I am yet to evaluate the logs.. but any early thoughts ? You should always use the FQDN of the site system that’s running WSUS/SUP. Excellent and short guide. I have a question regarding sync with upstream WSUS (standalone). My primary site/SUP is offline in intranet and I have setup WSUS in DMZ with Internet connection. I am able to sync the medtadata between Offline SUP and Upstream WSUS but when unable to proceed with Download and deployment. As it requires files to be either downloaded from Microsoft or choose network location. How can I automate this, instead of manually downloading on network location? You might want to have a look at the IIS log. That log file should provide more details about the exact 403 error.